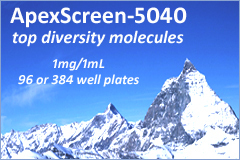 MyriaScreen Diversity Collection of drug-like screening compounds is now over 50% updated with new and more diverse structural material. New MyriaScreen II carries out the same design approach and combines premium molecular candidates hand-picked from Sigma-Aldrich and TimTec compound stocks. The selection of 10,000 high-purity and diverse molecules is the result of careful evaluation, multi-stage filtering, and refinement of two companiesÃ¢â‚¬â„¢ compound pools. The selection was refined with expertsÃ¢â‚¬â„¢ great personal attention to remove compounds that were overly represented or not well suited for medicinal chemistry follow-up. MyriaScreen is rich in chemotypes and a valuable source of screening compounds for lead discovery. 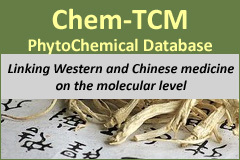 Click herefor more information or to request a MyriaScreen Diversity Collection SDFile. 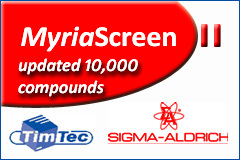 Sigma-Aldrich Introduces the MyriaScreen Diversity Collection for Drug Discovery.